Children under 8 years old do not pay their entrance fee to Machu Picchu . They must only enter accompanied by their parents showing their passport (or identity document) that proves their age. Children and teenagers between 8 and 17 years old have a discount at the normal price of the ticket. Is the entrance to Machu Picchu with children free? How much does the entrance to Machu Picchu cost for children over 8? Why is the entrance to Machu Picchu free for children? What requirements must the child meet to enter Machu Picchu free? Is the entrance to Machu Picchu mountain free for children? Is admission to the Museum of Machu Picchu free for children? Is it possible to enter Huayna Picchu with children? Are train and bus tickets for children free? Children under 8 years of age enter Machu Picchu for free. Children over 8 years old (up to 17 year olds) access the Wonder of the World with a discount on the normal ticket price. Children and adolescents must enter accompanied by parents or a proxy. To enter for free children must be under 8 years old at the time of admission. To access the ticket discount, children and teenagers must be under 18 years of age at the time of entry. Both children and adolescents must justify their age with an identity document or passport at the door of the Inca City. In 2007, Machu Picchu was chosen as one of the 7 Wonders of the Modern World. Since then, the number of visits has increased. So that no one gets lost from one of the main destinations on the planet, the authorities of Peru decided to establish benefits for children, adolescents and citizens of countries of the Andean Community (Peru, Colombia, Ecuador and Bolivia). The youngest ones (up to 8 years old) enter the Wonder of the World for free. 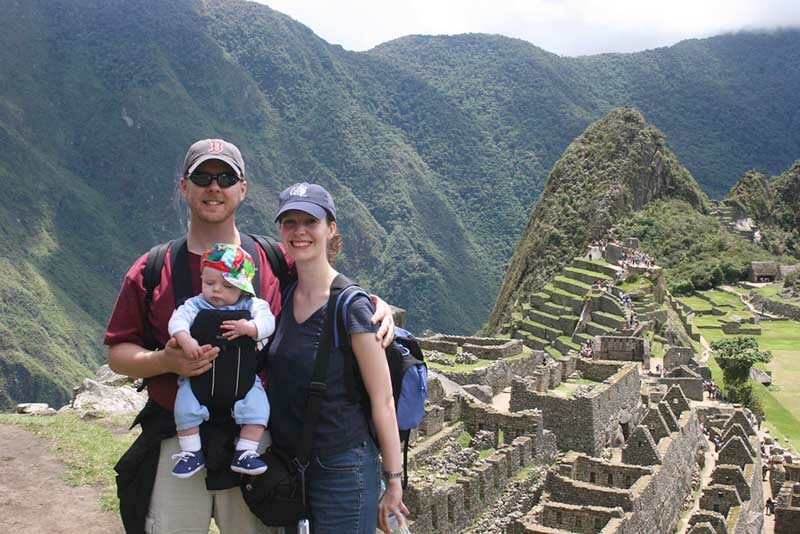 Today, Machu Picchu is one of the most popular destinations for families from all countries. Children over 8 pay the price of the entrance Machu Picchu with a discount of almost 50%. The children of Peru, Colombia, Ecuador and Bolivia enjoy an even greater benefit. Machu Picchu Only 77 S/. 32 S/. * Price for children (8 to 17 years). They integrate the CAN, the countries: Peru, Colombia, Ecuador and Bolivia. Be less than 8 years old at the time of entering Machu Picchu. Enter accompanied by their parents or guardian. You must show your passport or identity card that certifies your age at the time of admission. Babies must be carried by their parents. Baby carriages are not allowed.. The mountain Machu Picchu (3,082 meters above sea level) is the summit on whose slope the Incas built the Inca City. The ascent to the top is by a slope that crosses Inca stone roads. At the top you can see all the beauty of the landscape. Admission is allowed to people of all ages (including children). Children under 8 years of age are admitted free of charge accompanied by their parents. Those over 8 years old (up to 17), access the mountain with a special discount. The Manuel Chávez Ballón Museum of Machu Picchu Site is an enclosure that keeps some Inca remains returned by Yale University during the excavations in the Inca City. It also has an interactive exhibition of how was the process of conditioning the public in the Wonder of the World. Children under age enter the museum free of charge. Adults also enter for free but only in the late shift (from 9 am to 4.30 pm) If you wish to enter the Wonder of the World and the museum, you must reserve the Machu Picchu + Museum ticket. The entrance to the Machu Picchu Site Museum includes a visit to the Botanical Garden, which exhibits a variety of typical flora of the place. The Huayna Picchu is the famous mountain located north of Machu Picchu. The climb to the top is considered one of the most incredible short walks in the world. On its slopes is the Temple of the Moon, a mysterious Inca construction made inside a cave. Admission is only allowed to people over 12 years old. Children (from 0 to 12 years old) can not access this adventure. Teenagers (from 12 to 17 years old) have access to a special discount on the normal price of the Machu Picchu + Huayna Picchu ticket. The Huayna Picchu mountain is a safe adventure if you follow the rules and do not take unnecessary risks. Teens must be watched by their parents. There are many ways to get to Machu Picchu. The most usual and safe is through the train route through the Sacred Valley of the Incas. This route combines a trip by train and bus from the city of Cusco to the Wonder of the World. Children from 0 to 2 years old do not pay for the train ticket in any of the two train companies that take them to Aguas Calientes (Machu Picchu town). They must travel in the arms of their father or mother. Children from 3 to 11 years pay their train fare with a discount of almost 50% on the normal price of the trip. The reservation of tickets is done online. Children from 0 to 12 years old do not pay the price of the bus ticket from Aguas Calientes to Machu Picchu. The reservation can be made online or once in Cusco. Book tickets, train tickets, tours with time. Do not forget to take the documents (passport, identity document) of the children with you. If you are coming with babies, remember that you are not allowed to enter with a baby carriage.. The best option is to enter with a baby carrier. Use sunscreen and mosquito repellent to protect the little ones (especially if traveling between April and October). Keep a close eye on the little ones if you plan to visit the Machu Picchu mountain and the Huayna Picchu. The tour guide service in Machu Picchu is mandatory. The guided tour makes entertaining the visit with children through the Inca City. At the entrance door, there are tour guides offering their services. Another option is to book one online through an agency. Visiting the ‘Casa de las Mariposas’ or the ‘Hot Springs of Aguas Calientes are the best alternatives to distract the little ones afterwards or before touring Machu Picchu.